Volkswagen’s favourite company car, the Golf, will be gaining a version offering GTI performance with ultra low CO2 emissions. 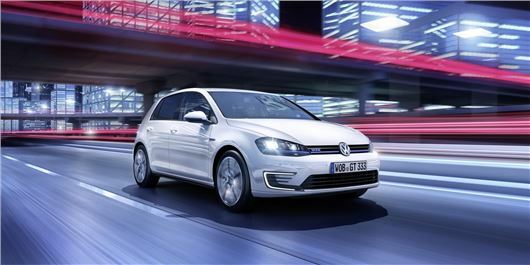 The Golf GTE will be unveiled at the Geneva Motor Show in March, and is Volkswagen’s first plug-in hybrid. The combination of a 140PS petrol engine with a 102PS electric motor, in conjunction offering 204PS performance, results in an anticipated 35g/km and 188mpg on the official combined cycle. It’s likely that because of the inclusion of the expensive hybrid technology the GTE will command a significant price premium over the GTI. But with company car tax falling into the 5% BIK tax band from launch, it will be a good way for drivers to avoid the kind of tax bills usually associated with this kind of performance. The technology will also appear in an Audi model this year, with the forthcoming A3 e-tron.